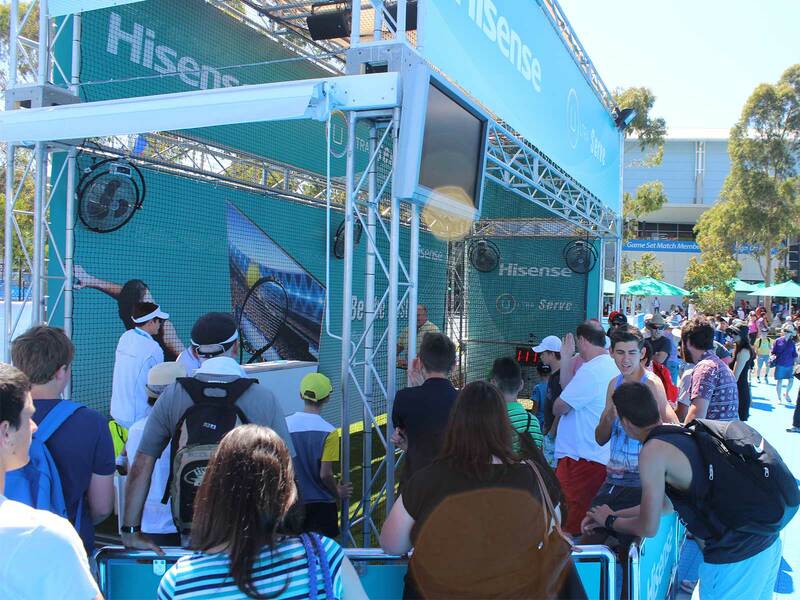 The 2014 Australian Open kicks off in Melbourne today, with Chinese consumer electronics and home appliances brand Hisense taking on a major role as Official Sponsor for the event. Hisense also has naming rights for one of the major playing venues at the Open, Hisense Arena, where some of the major stars of the event will play, including Ana Ivanovich, Caroline Wozniacki and Andy Murray. As the first big tennis event of the calendar year and the first of the four international Grand Slam tennis tournaments for 2014, the Australian Open will bring serious exposure for the brand, not only on the court but also in the surrounding precinct. As part of its involvement in the event, Hisense has set up an Ultra HD Lounge in the indoor area of the Arena, offering guests a chance to sit and watch matches on the six Ultra High Definition TV screens set up for the duration of the Open. With temperatures set to soar in Melbourne this week, the indoor lounge will give visitors the chance to interact with Hisense’s products while also finding some respite from the midday sun. According to Hisense Australia marketing manager Andre Iannuzzi, the Lounge offers guests the chance to learn more about Ultra HD TV in a fun atmosphere. “For us it’s about product integration within the Ultra HD lounge — that’s the story for us,” he said. “It’s really about consumers interacting with the latest technology that’s brought to you by Hisense. So we’re really making the maximum effort to get out there. For those that are happy to head into the heat, the brand has also set up the Hisense Ultra Serve station where punters can practise their aces and see how fast they’re able to serve. Budding tennis stars that post a photo of their serving speed on the Hisense Australia Facebook page also have the chance to win a tablet every day during the competition. The Australian Open begins today and runs through until 26 January 2014. 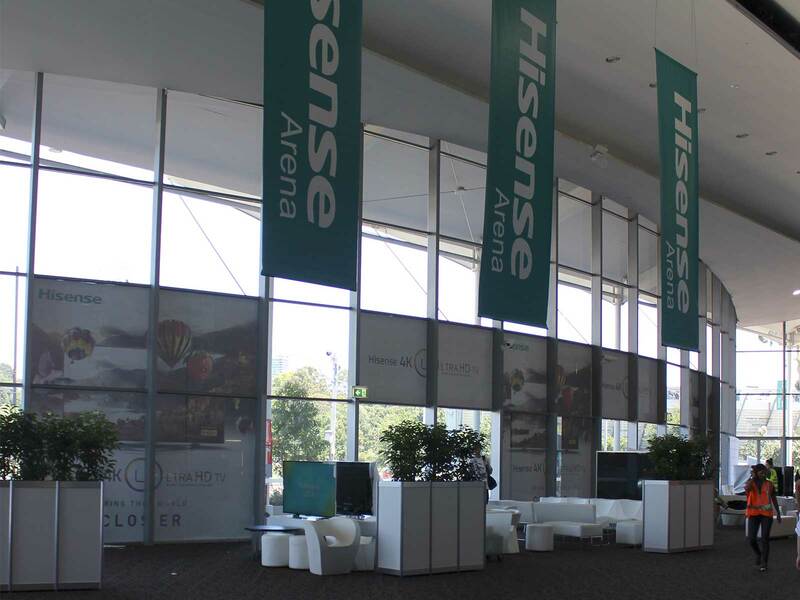 The Hisense Ultra HD Lounge, set up in Hisense Arena for the duration of the Australian Open. The Hisense Ultra Serve nets.